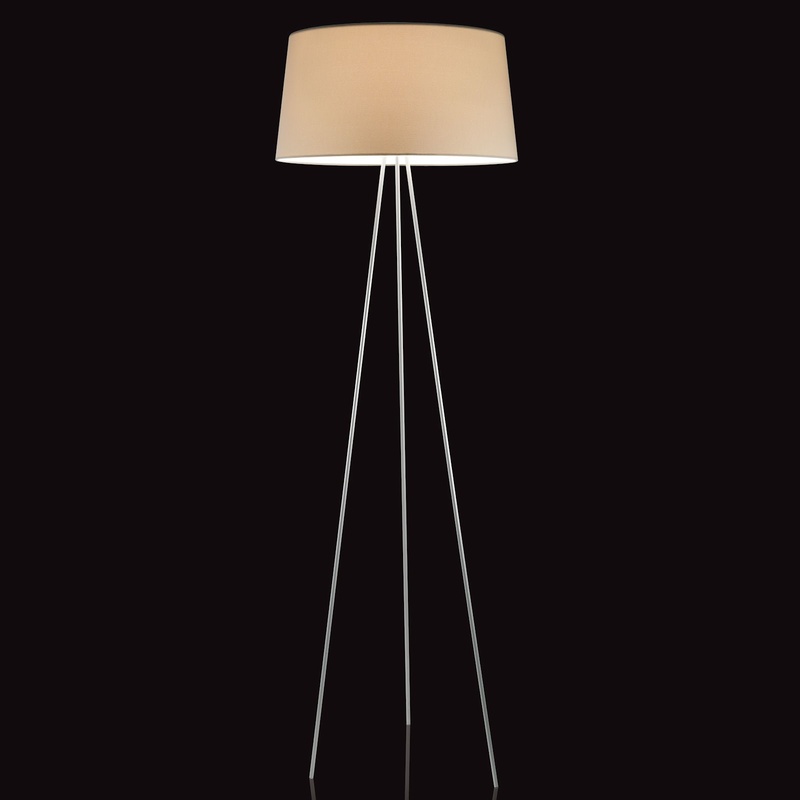 This elegant Tripod Floor Lamp was designed by Christophe Pillet for Kundalini in Italy. 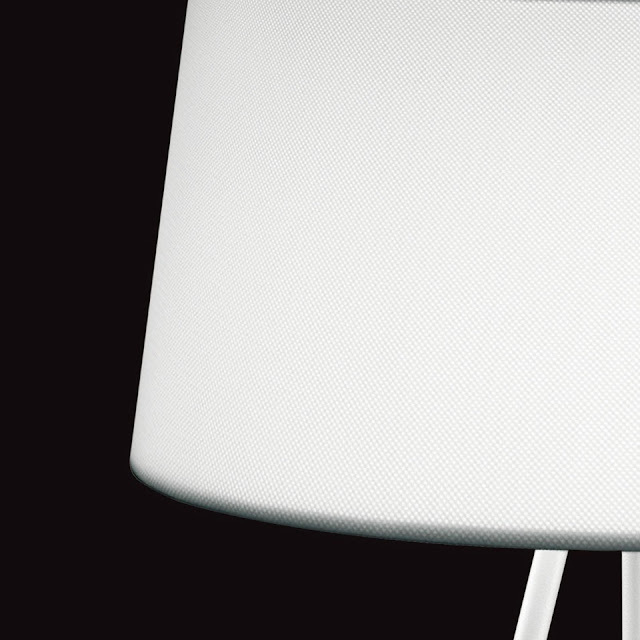 Christophe Pillet really gave this lamp some thought when he designed it. It's got all the right proportions and the electrical cord is cleverly concealed in one of the ultra-slim legs. The Kundalini Tripod Floor Lamp, with its satisfying proportions and refined details, has all the potential of a classic design icon. The beauty of the tripod lamp is that it complements almost any style of interior. The tripod base of this stylish floor lamp consists of three slender legs. 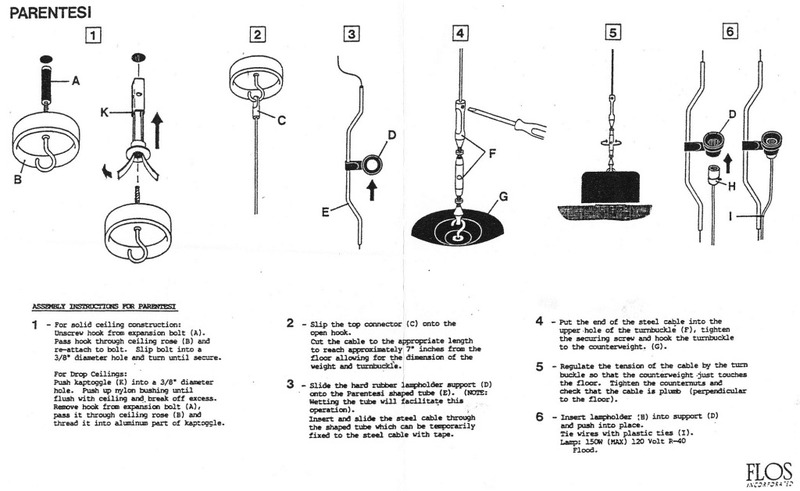 The base of the Tripod Lamp symbolizes light and lightness itself while also providing outstanding stability. 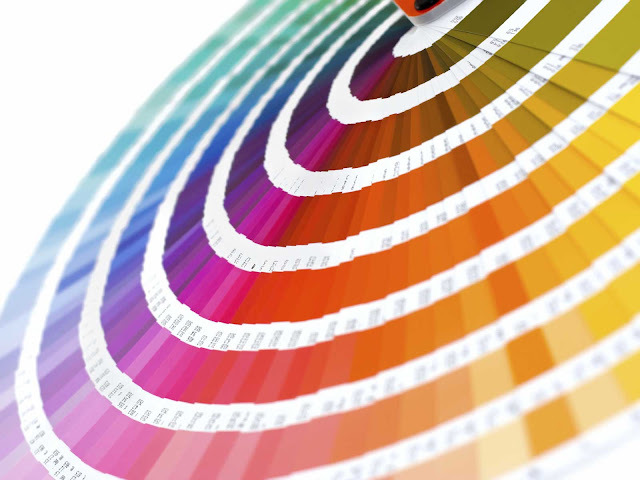 The shade is made with a fire resistant fabric closed by an anodized perforated aluminum disc. 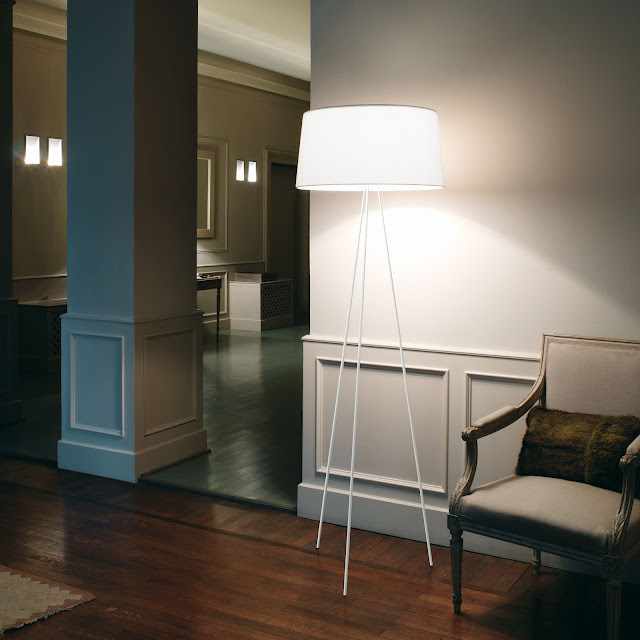 The Kundalini Tripod Floor Lamp is available in three colors: either white, ecru and moka. The base is available in either grey or white painted metal. This Tripod Lamp works with a variety of light bulbs as well so you have a choice between incandescent, halogen or fluorescent. If you care about design, you will love the timeless Kundalini Tripod Floor Lamp. 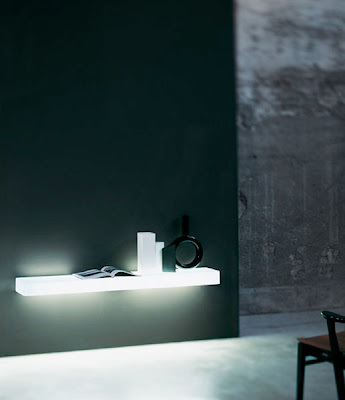 Kundalini lighting: discover the fabulous futuristic Italian lighting collection from Italy. Kundalini produces some of the most artistic and futuristic design lamps that you can find. Their artistic emphasis is to create highly attractive sculptural lamps that are innovative in form. Some of the Kundalini lamps resemble the modernist sculptures by Constantin Brancusi (E.T.A. and Yoga) while other objects are distinctively futuristic (Abyss, E-Turn and Sama). Stardust specializes in Kundalini lighting and we have brought together an amazing selection of these ultra modern contemporary lighting fixtures. The Kundalini collection consists of table lamps, floor lamps, wall scones, pendant lights, chandeliers, sputniks and accent lighting. 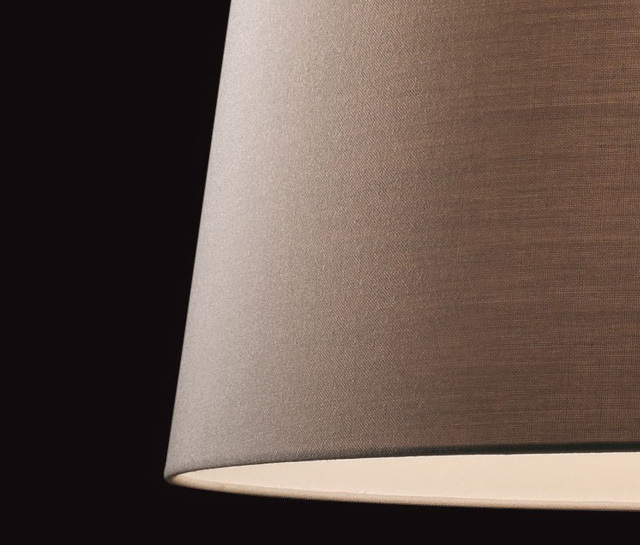 Every lamp is made in Italy.